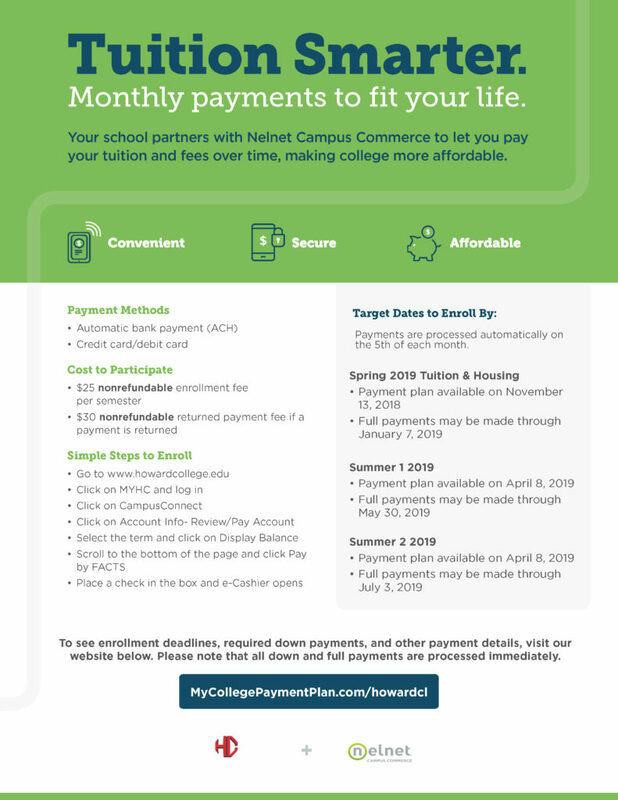 Availability of the payment plan is determined by Howard College. Please be aware the college may elect not to have the payment plan available during specific times and dates during registration. Please do not assume your balance will automatically be adjusted if financial aid is received or a class is dropped or added. You should review your agreement balance online or call the Howard College Business Office to confirm the change.